Ask most 7-year-olds what they want to be when they grow up and you can guarantee that the responses will be typically fantastical, from spacemen and cowgirls to firefighters and rock stars. 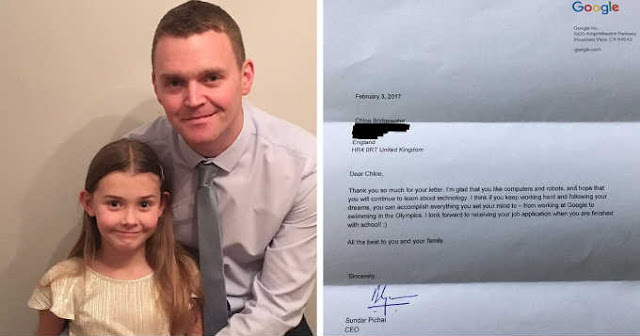 But all Chloe Bridgewater wants to do is work for Google (well OK, and also work in a chocolate factory and be an Olympic swimmer). She even sent them a hand-written job application, which was the only letter she’s even sent except for one to Father Christmas. And guess what? 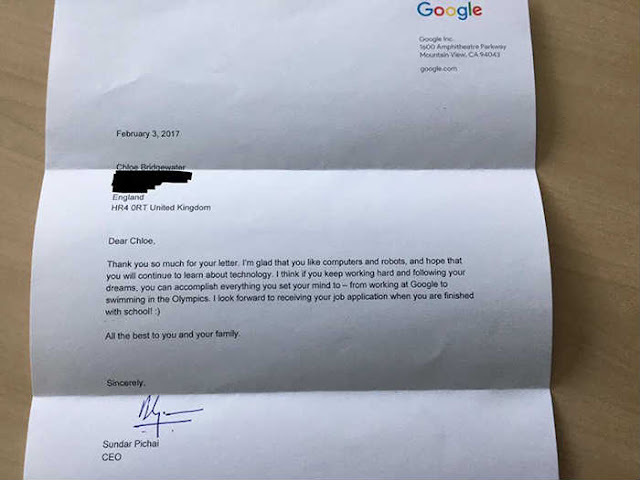 Not only did she get a response; the response came courtesy of none other than the CEO of Google himself, Mr. Sundar Pichai. 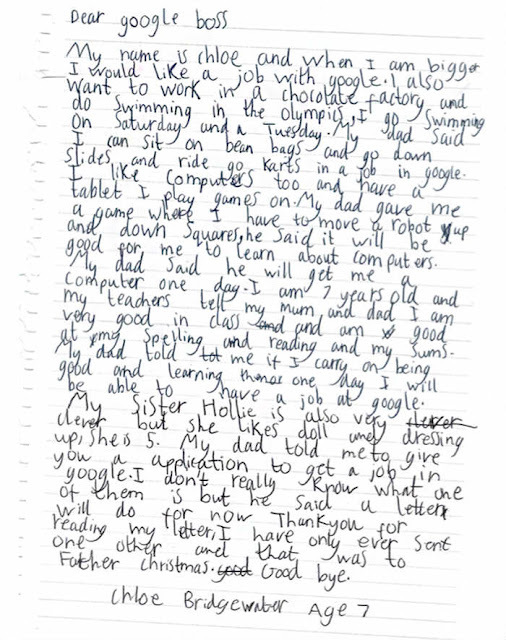 “Dear Google boss,” wrote the 7-year-old from Hereford, UK. 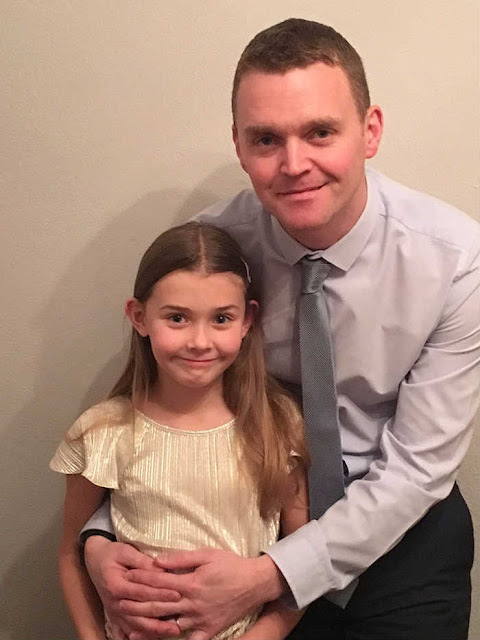 “My name is Chloe and when I am bigger I would like a job with Google.” She wrote it after she asked her father, Andy, what he’d like to do if he didn’t sell refrigerator parts. He told her that Google would be cool and showed her some pictures of their headquarters in Silicon Valley, and the moment she saw the bean bags, slides and go-karts, she knew she’d found her dream job. He encouraged her to write an application and so she did, but neither of them were prepared for the response they received a few days later. See for yourself below. Andy recently posted it on his LinkedIn page and Twitter account, and it’s since been liked more than 94k times.